Lovely Normand Park Bungalow! Gorgeous curb appeal with the interlocking brick front drive and double attached garage. Open kitchen, 2 large bedrooms, 2 bath, large 3 season sunroom, spacious living/dining room perfect for entertaining, full basement, three season sun room, main floor laundry, back deck, central vacuum, sumppump,multiple upgrades: stainless steel appliances: fridge (2014), stove (2013) dishwasher ( 2012) windows (2011), roof (2009). 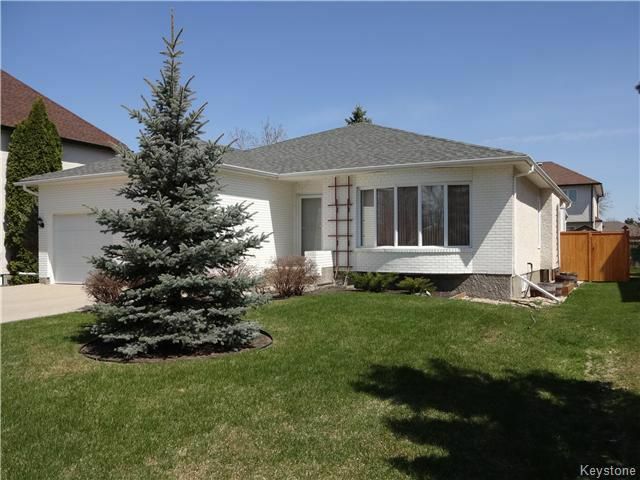 A great location near many of the best south end schools, St.vital parks, St.Vital center Mall, Safeway, the LC, and tons and tons of other shopping. Let the experienced St. Vital realtor sell your home! Loads of natural light! One of the safest areas of Winnipeg, worth a look!